Sounds complicated but you don’t really need to know any of that to enjoy this graphic novel which collects together the five issue mini series, Marvel Zombies. 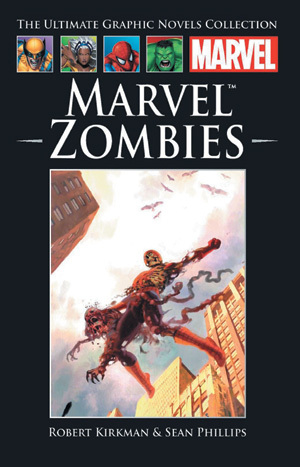 An introduction gives is some of this background and also explains how the Marvel Zombies mini-series came about. 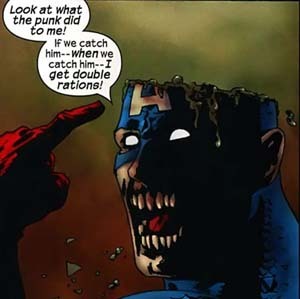 When Mark Miller wrote a Fantastic Four arc set on an alternative world where Marvel heroes and villains had been turned into flesh-eating zombies, Marvel where so taken with the concept that they decided to continue it in other titles. The Walking Dead writer, Robert Kirkman was brought in and the resulting mini-series, collected in this graphic novel, is a truly gruesome horror story with some sick and twisted black humor. It’s also unpredictable and many heroes and villians are killed off in the story. This is a crazy world where Spider-Man hates himself for eating both his wife and Aunt May and Bruce Banner finds that whatever he ate as zombie Hulk quite often bursts through his stomach when he transforms back into zombie Banner. It’s a crazy concept that works wonderfully and Kirkman brings us much of the same gore filled storytelling that made his Walking Dead title such a success, only this time in vivid full colour art by Sean Phillips. Of course we’ve had many variations of zombies – from the shuffling undead of Romero to the speeded up versions in films such as 28 Days Later, but Marvel here provides us with a new and original take on the genre – zombies with super powers who can also talk and think. It sounds absurd and I guess it is but nevertheless it works perfectly and provides a read you’ll want to chomp down on. 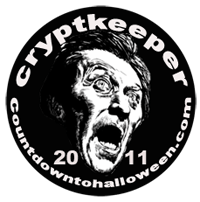 Undead hordes outside, something worse in here. At the close Book One of the Dead Walked trilogy only Missy and Johnny were left standing, trapped inside the bungalow in which they had sought shelter. 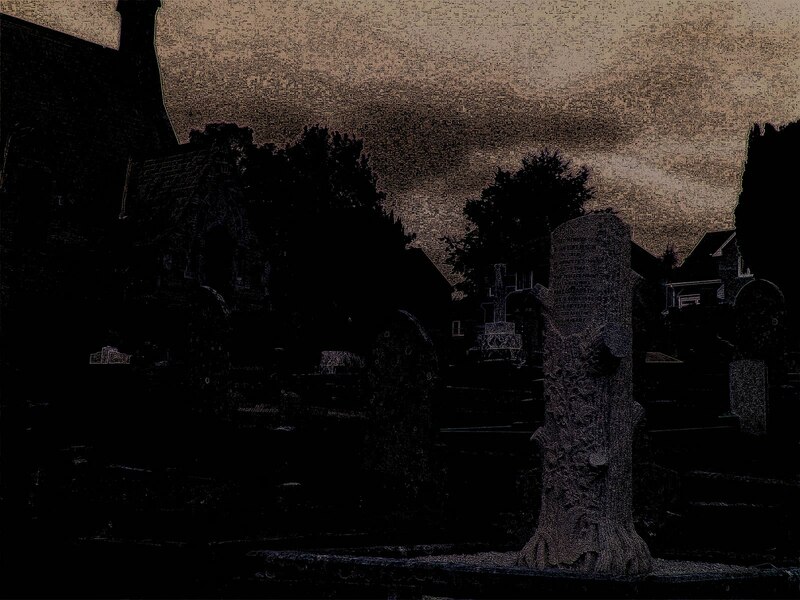 Outside there were hordes of the undead and somewhere inside with them was the demon baby – a cliffhanger indeed. This July Book Two – Dead Days will be launched onto the electronic highways and readers will be able to pick up on the story. I enjoyed the book more so because of the simplicity.I cannot wait for the next book to find out what happens to Missy,and her odd destiny,Johnny and of course the hybrid demon zombie thing! Is it time for them to die now they are surrounded by hordes of zombies? The worst one being trapped idoors with them? Need to know! Hey, if you love zombies (and who doesn’t) this is a fab read. The author is proving a master at several genres, all his novels are well worth reading. We’re on the final stages of the free eBook promotion – Indeed Arkansas Smith II, has now reverted to the usual price but there’s still time to grab free downloads of The Dead Walked and The Rhondda Ripper. So if you haven’t secured your free copies then do so now. The aim of this promotion was to kick start the books in the increasingly competitive Amazon market place and I do hope that those who downloaded free books will eventually leave reviews on Amazon, and that all those who downloaded the first part of The Dead Walked trilogy will be back for the second book in the series later this summer. And please, all my Blogging buddies, publicize this offer on your blogs, websites etc. Let’s make these final two days go with a rush of downloads. 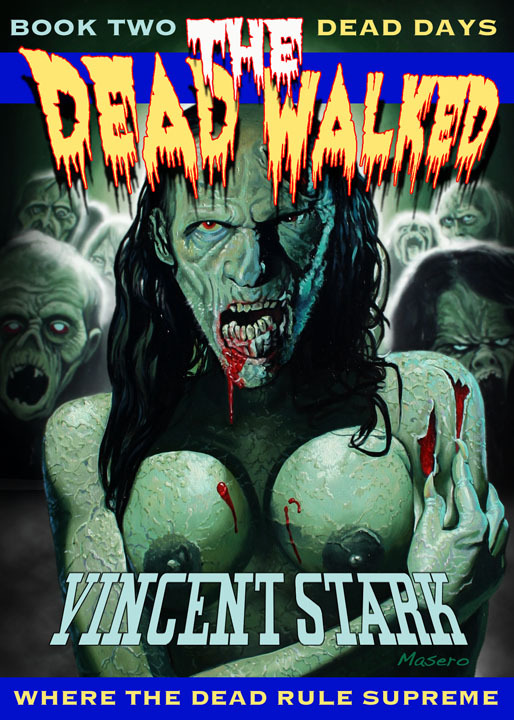 THE DEAD WALKED – Vincent Stark, otherwise known as Gary Dobbs, presents a new look at the zombie story. A group of people trying to survive in a world gone nuts. Sound familiar. Of course.But Stark has injected his own elements into the story. A pregnant woman and a plot thread I’ve not seen in a zombie story before. The ending threw a twist in and sets up the next part of the story, coming soon. Things are certainly looking up for The Walking Dead and we’ve had two great episodes in a row, in fact to my mind episode nine was the best episode since the season two opener, and guess what it was jammed packed with walkers for a change and old pacifist Hershel turned out to be a darn fine shot and just may be a Dirty Harry in the making. It turns out that Lori survives her car crash but has to face off against a walker in a great tension packed scene, while Rick, Glenn and new action man Hershel are trapped in the bar having to face a group of mostly unseen hostile survivors. The episode is action packed but finds time for several major character scenes that makes me think that Shane will not survive the season, and that he will be killed of by either Rik. The episode end with Lori suggesting to Rik that Shane is a problem that has to be sorted. The Walking Dead is back on form, folks. The Walking Dead has just arrived back on UK screens following the mid season break and episode 8 immediately amped up the pace after a pedestrian run of episodes. This episode may indicate a pick up in the series as it presented us with a more interesting scenario than the previous episodes managed. Our band of survivors are now fragmented with Shane seeming to be on the edge of exploding, Glen is experiencing a conflict of loyalties and may leave the group while Daryl is pissed off (as are the viewers) that the search of the past few episodes has been for nothing and may be ready to leave the group himself. 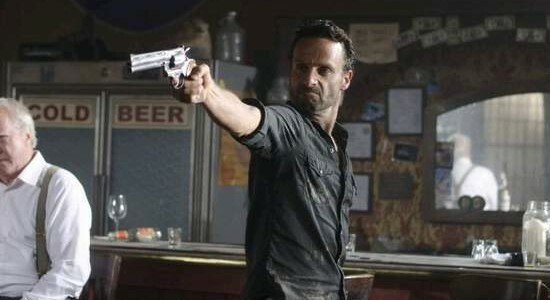 On top of all this we had a great western style scene in a saloon that could have come directly from a Leone movie with Rick dispatching two survivors of the zombie apocalypse who wanted to join them at the farm, as well as Lori being involved in a car crash, the outcome of which we won’t discover until episode 9. It’s too early to tell but on the strength of this episode things may be looking up for a series that was in danger of becoming the plodding dead. 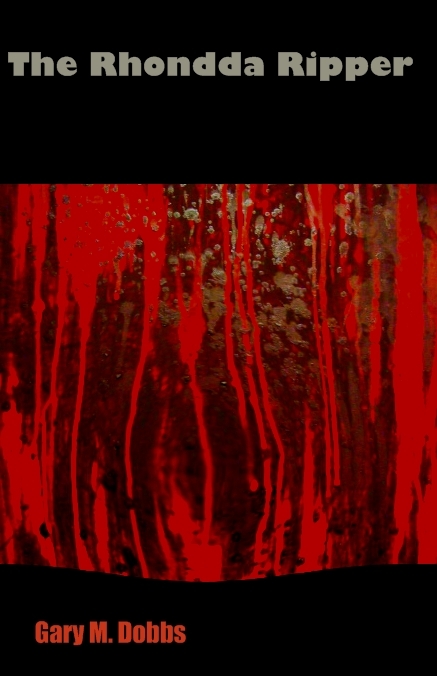 My novella, The Dead Walked, the first in an all new trilogy, is available now at an incredibly low price.